Hot, sunny weather has arrived. And with it, the unmistakable feeling of summer bliss in Ticino. There is a reason why most of Switzerland dreams of spending their holidays here: Ticino is simply stunning! Yes, you can swim and enjoy the scenery, breathe gin the atmosphere. 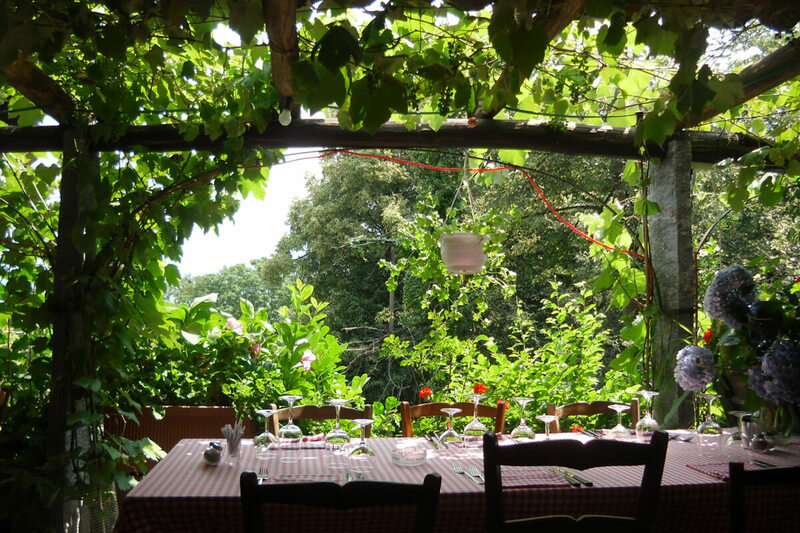 But the real fun starts when the sun sets: For a hearty dinner, you can chose among one of the many "grotti" restaurants. I love this place for many reasons. The food is always delicious, the setting is stunning, and this grotto is always cool and fresh. 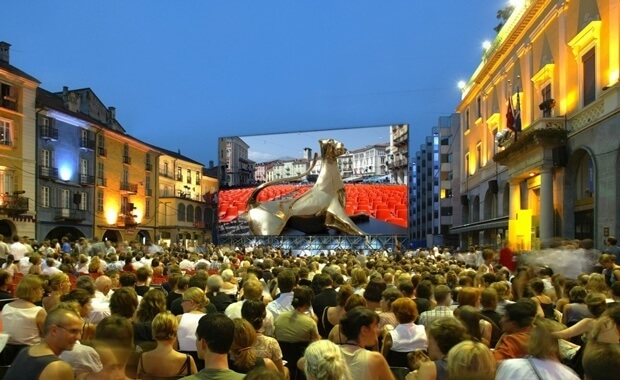 It can be a scorcher in downtown Lugano, but in Grotto Morchino, the evening will be refreshing and pleasant. 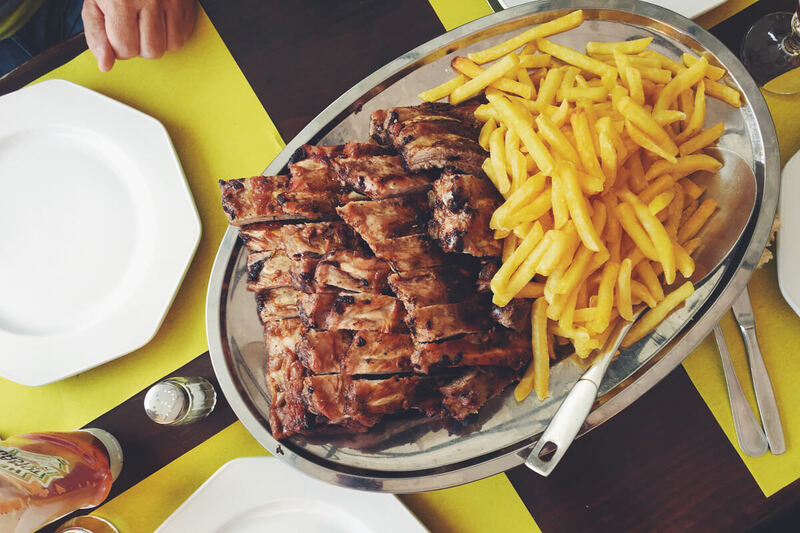 Order a murchinada, a set meal with local starters, assorted grilled meat and side dishes. At Grotto Circolo Sociale di Montagnola, you will find the best price for quality - hands down. It is a simple, friendly grotto with a very nice terrace under the trees. You will sit at stone tables right next to the sizzling grill and let yourself be spoiled. Their pork ribs are simply awesome, not to mention their other specialties: Vitello tonnato and meat tartare. 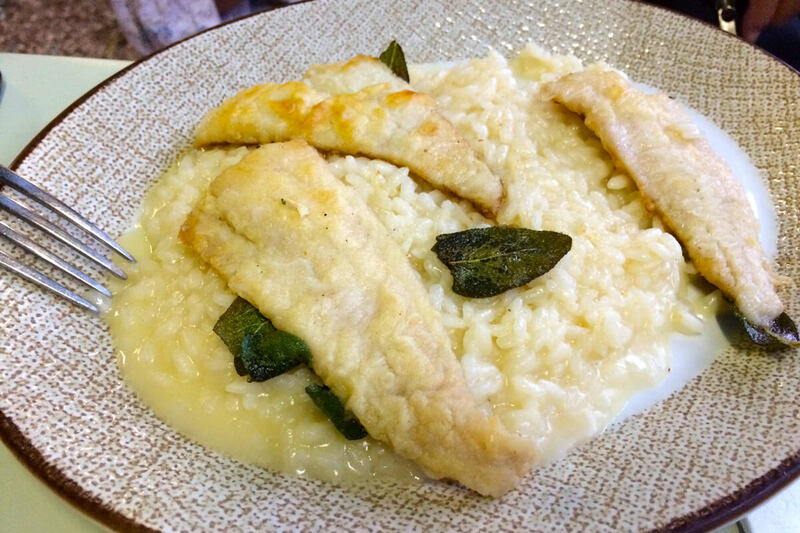 My personal favorite is the risotto with pan fried fish fillets and sage. This is the place where writer Herman Hesse used to go everyday, writing about how much he loved living in Ticino. Grotto del Cavicc has kept most of its ancient charm, plus it has a nice terrace. It is a bit on the pricey side, but this is the place where I learned that in Ticino you are supposed to drink your wine in the traditional striped cups. Here is a grotto that is perfect on all accounts. Grotto Ticinese has a friendly, cozy atmosphere, a big garden to dine with family and friends, and even a small playground for kids. They make the most delicious fresh pasta, and their selection of grilled meat is awesome. I always have the assorted meat skewer and a selection of cheese. Even a simple luganighetta sausage with polenta will make you happy. 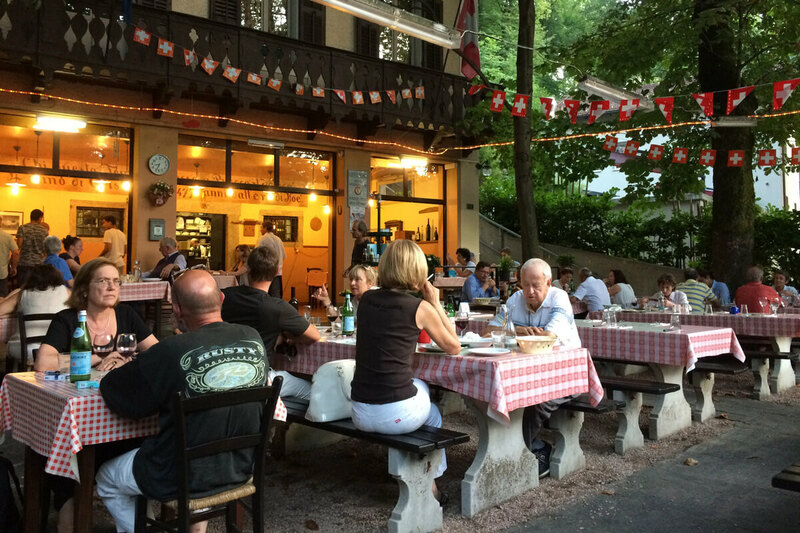 Technically speaking, Osteria Grutli near Lugano is not a grotto, but a place much loved by the locals. Their pork ribs are delicious. They are small and tender and served with loads of piping hot French fries. 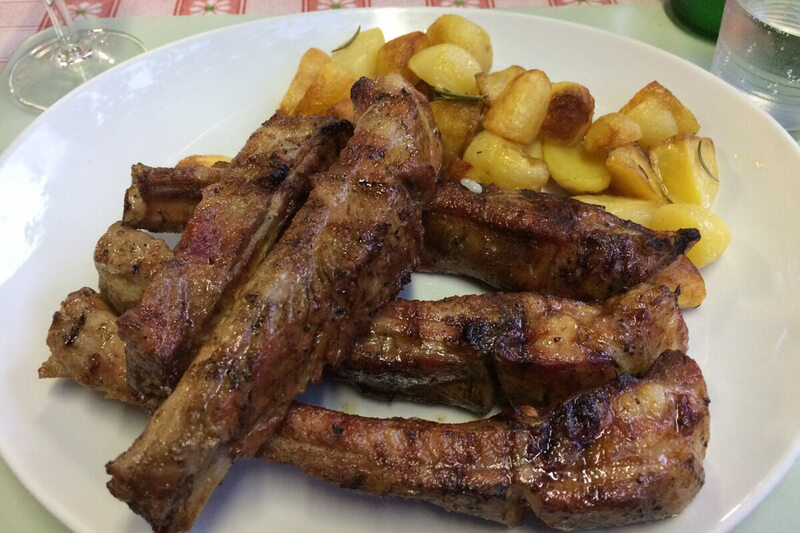 Book a table and order the ribs ahead, then enjoy the quietness of the small piazza where this Osteria is located. 1. Always book in advance, especially during peak season. If you have a certain dish set in mind, order it in advance so that you do not risk it being sold out. 2. There is always a meat free or a vegetarian option on the menu, so these restaurants are great even for those who are not crazy about meat. 3. Save some room for dessert, like a walnut gelato with walnut liqueur. Yum! 4. Kids and families are always welcome in every grotto. There are kids menus everywhere, or you can order smaller portions. 5. Do ask them about where their cheese and meat are from. Or politely ask if they can show you the "grotto". 6. In some grotti, it is actually colder than in many downtown restaurants. Always bring a scarf or a light jacket - just in case. This Swiss citizenship interview is questionable, no? (Editorial) Will Zürich be getting a cable car across the lake?